When you have limited outdoor space it’s great to create as many planting opportunities as you can. Vertical planting, intended to produce the effect of a ‘living’ wall, has been used in a lot of stylish garden designs for urban yards and patios. This design uses basic plastic guttering, which is really easy to source from any hardware store. It works beautifully for plants that don’t require too much soil, such as succulents. Here I’ve opted for four lengths of guttering, but you can use as many as you wish, cut to length to suit your space. You could paint the guttering in bright colours; I was after a sleek contemporary look; grey is also a nice neutral tone to allow the plants to stand out. 1. 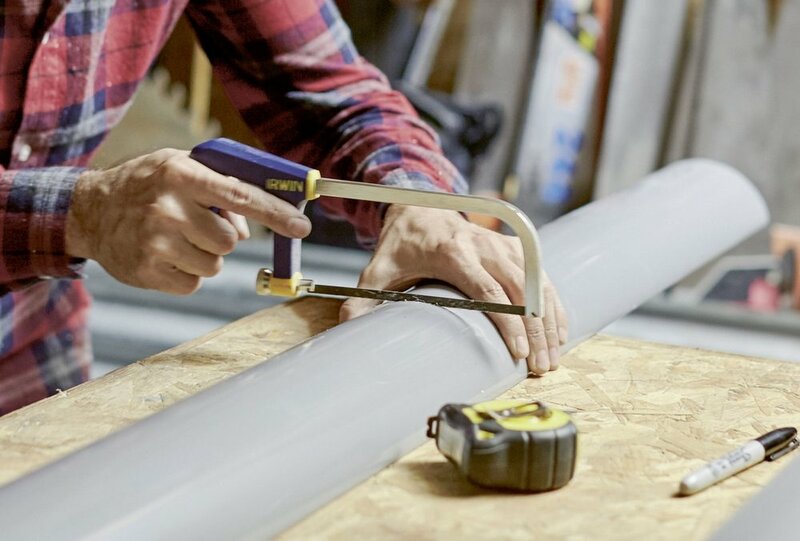 CUT GUTTERING Lay out the guttering, measure, mark and cut to the length you want using a hacksaw. Hold each piece steady as you saw. File the sawn ends smooth with a half-moon file or sandpaper. 2. FIT CAPS To make drainage holes, drill through the base of each length in several places. Attach end caps to each length of guttering. 3. MEASURE AND KNOT ROPES Measure and cut the rope into two equal lengths. Tie a knot at the halfway point in each length and fold the ropes at this central knot. 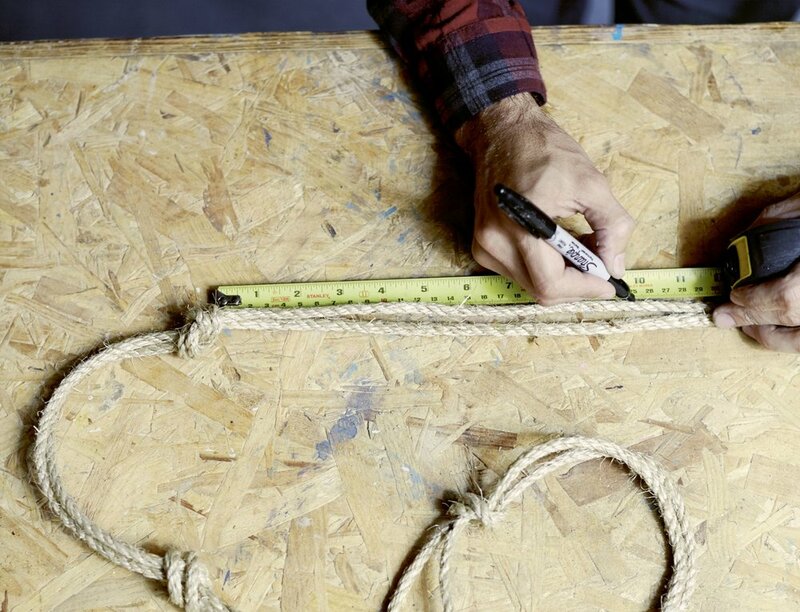 Measure and mark every 25cm (10 inches) and knot the rope at each marked point. Repeat for both ropes. 4. CHECK KNOTS ARE ALIGNED Check that the knots align on both ropes (so the guttering will sit level). Adjust the position of the knots if necessary. Heat the cut ends of the rope with a lighter to prevent fraying. 5. POSITION GUTTERING Slot the guttering through each knotted section, pushing the rope snugly against the end caps. Plant up.